A strong start to the season has officially landed the Aurora Tigers a spot in the Ontario Junior Hockey League's big dance. The Hurricanes were the opponents in last Wednesday's afternoon matinee, the third-to-last meeting between the rival clubs on the OJHL calendar. The ping-ponging continued when the Hurricanes beat the Spirit on Saturday, while a loss to the Toronto Jr. Canadiens for the Tigers on Sunday kept the standings intact by weekend's end. Aurora's Jacob Ball traded goals with Toronto's David Sherman in the second period, a 1 – 1 score that held into overtime, where Sherman sent the Jr. Canadien's 32nd shot of the game past Durante for the win. 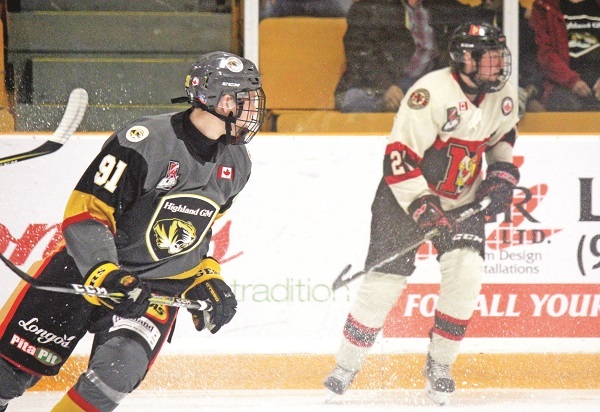 Excerpt: A strong start to the season has officially landed the Aurora Tigers a spot in the Ontario Junior Hockey League’s big dance.